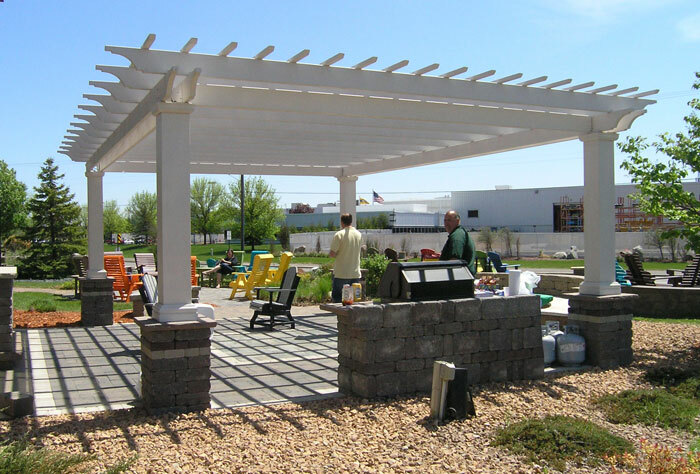 We carry the world's first complete fiberglass composite pergola system, from Arbors Direct. The materials used in these pergolas are extremely light yet, pound-for-pound, stronger than steel, allowing for open spans of up to 18 feet. Standard sizes are available, or your pergola can be made to order, custom fitted to your patio or other outdoor space. 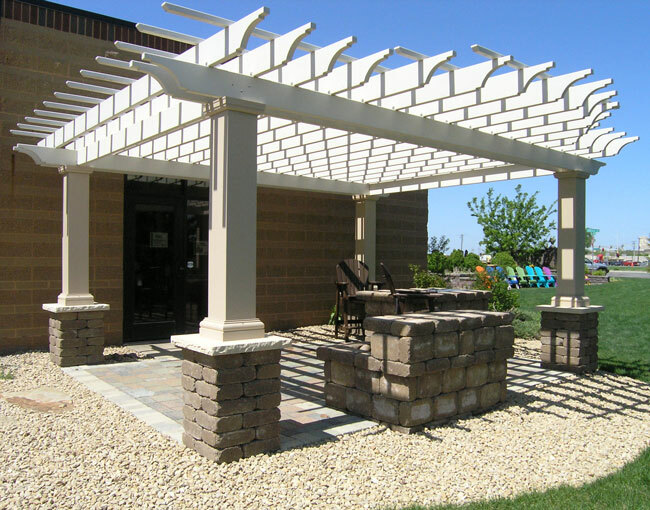 A pergola is an affordable, elegant, and virtually maintenance free addition to your home, backyard, pool, or spa! Engineered with ease of installation and long product life in mind. Corrosion resistant – unaffected by the elements or temperature. Available in custom sizes and designs to fit any application. Available with optional factory paint, including color matching. Manufactured with state-of-the-art technology and fiberglass composite materials that create structures of lasting value and beauty.